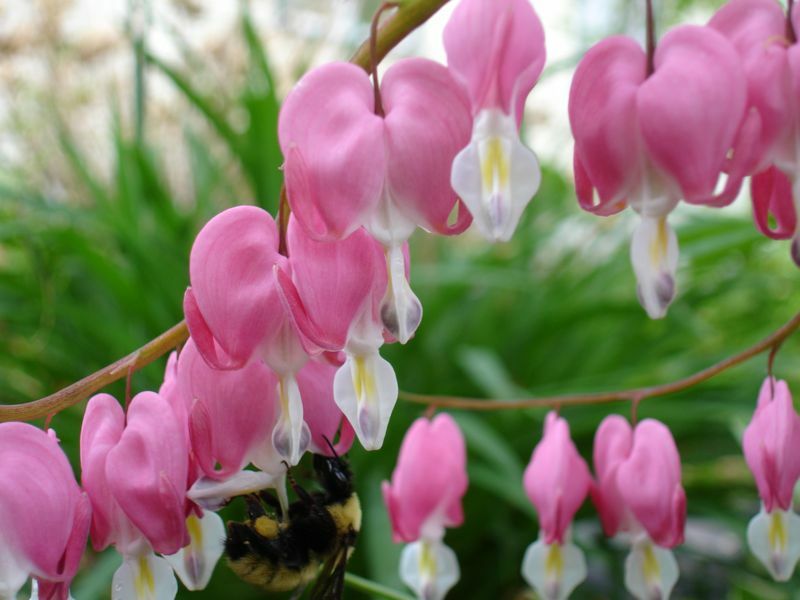 I often saw the bumble bees feeding at the bleeding hearts. At certain angles I could see the nectar all over them. They were usually so involved in their feasting that they didn't pay any attention to me. I enjoy walking around our gardens and happening upon all of the life that goes on mostly unnoticed. I enjoy it even more when I have a camera with me and the time to "catch" the creatures in their daily activities. At first read the caption as bumblebee with bleeding nose. Startled, I focussed more successfully on your lovely photo. Do you get any hummingbirds? Merely looked at some of your images (: i'm actually happy i got to job shadow you. You're wonderful! Just considered some of your images (: i'm truly pleased i looked for to task shadow you. You're excellent! Simply online checking things out ... adore the photos! I attempt to discover by checking out various other photos, as well. Just considered several of your images (: i'm really delighted i reached job darkness you. You're terrific!